Hockey players are difficult to pin down for signing sessions during the push to make the postseason and then into the playoffs. 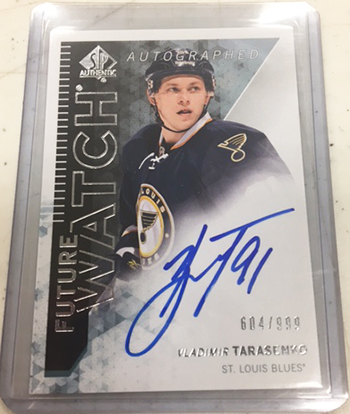 After teams are eliminated from the playoffs, Upper Deck’s talent acquisitions team springs into action to conduct signing sessions with a variety of players. 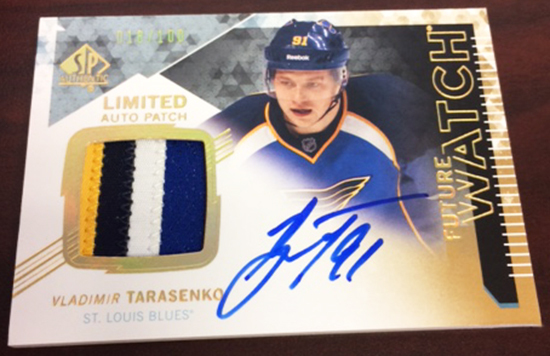 Additionally they have a hit-list of the top players to acquire autographs from and #1 on that list this season was Vladimir Tarasenko. 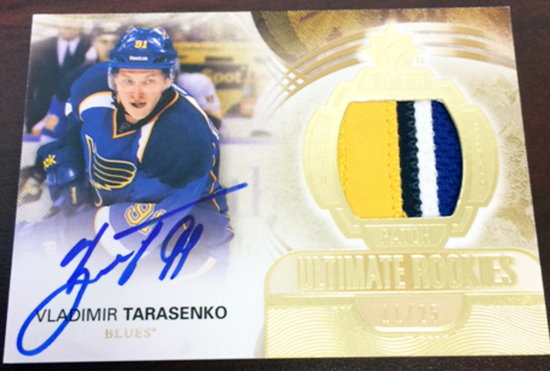 Upper Deck is pleased to announce we were able to conduct a signing sessions with Vladimir Tarasenko the day before he left to return to Russia where he signed practically all outstanding redemption cards. These cards have been received back to our fulfillment center and are in the process of being packaged to ship to customers who have redeemed them. 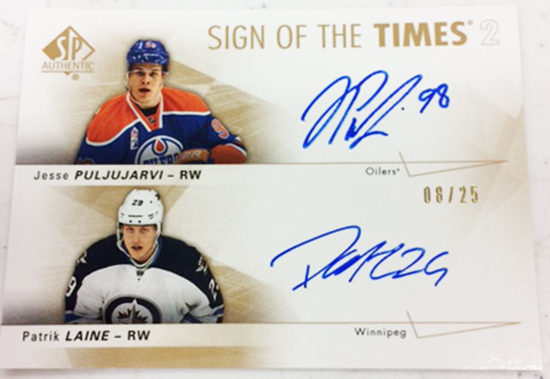 Additionally, there have been a variety of other signing sessions taking place where players like Joe Pavelski, Pavel Bure, Evgeni Malkin, Corey Perry, Auston Matthews, Mitch Marner, Jonas Brodin, Wayne Gretzky and Sean Monahan (autograph rookie Cup cards). We appreciate fan’s patience with this process. 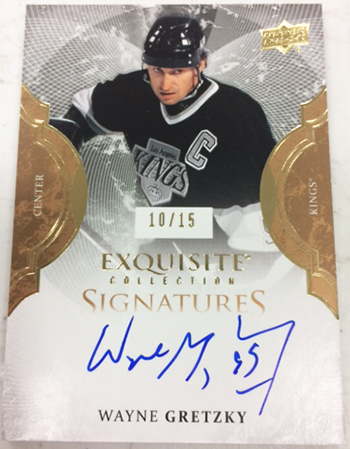 There are a variety of factors that go into autograph acquisitions that make attaining the cards difficult, but we are happy we’ve been able to make such significant headway as of late. 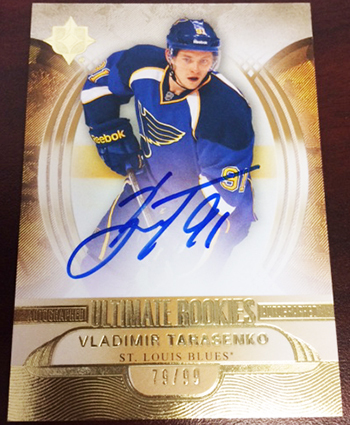 Happy for the crazed Tarasenko collectors and we all know there are quite a few. 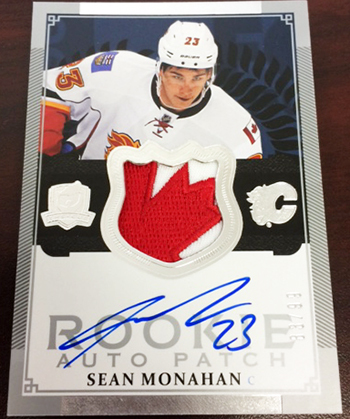 I despise the Flames but that Monahan card looks great. 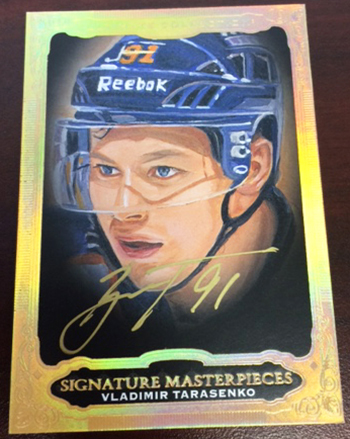 The moment I read Pavel Bure, I checked my Pending Redemption List and the one card I have been looking for has changed status to Shipping! Awesome and thanks UD! What about Jamie Benn?? There are quite a few outstanding redemptions for him out there. 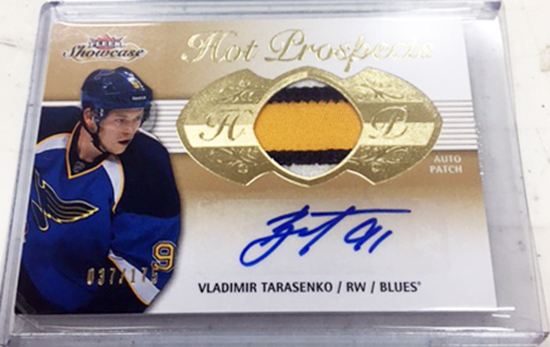 Lets hope Pastrnak signs his CUP redeptions as soon as possible…David Pastrnak is on fire! 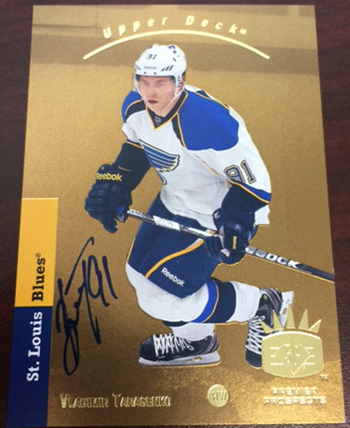 Oh wow, finally got my Tarasenko SP Authentic Gold card in the mail today, wasn’t expecting it anymore after waiting for 3 years!